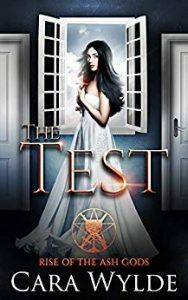 Fate is playing tricks on her… She only wants to pass the Test, serve her coven, and protect the Mysteries of the Tarot, not figure out why she was meant to meet nine strangers, nine gorgeous men who are too powerful and out of this world to be human. Immortals? Gods? That’s the last thing Valentina De Rossi needs.